Beautiful, handmade cash cover wallets. 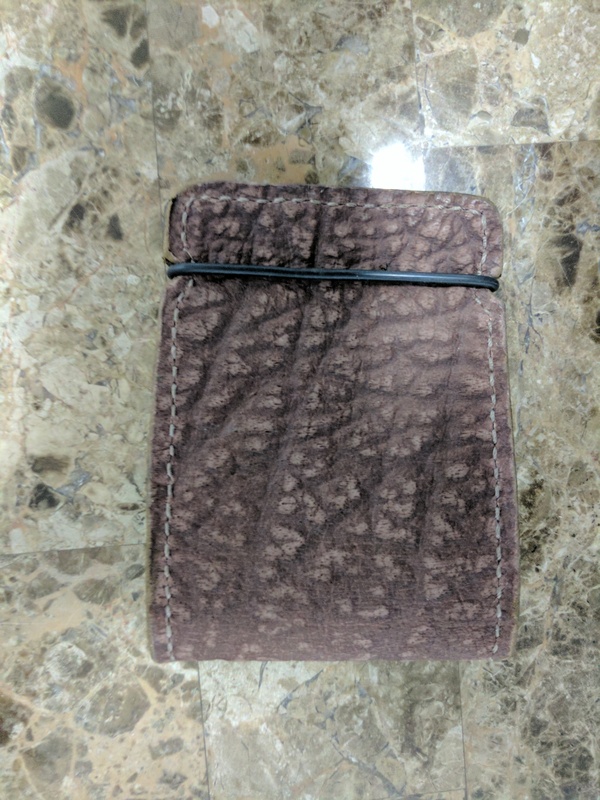 Exotic hides are tough and will last much longer than store bought, cheap cowhide wallets. These covers are held shut with an o-ring and hold a surprising amount of cards in the pockets!